Stout Performance – All In One! 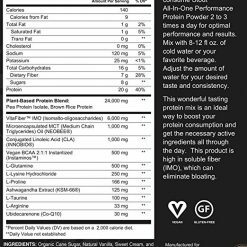 This is a truly optimizing product to increase muscle growth, increase energy, encourage digestive health, promote weight loss and improve overall health! Whether you are dieting, trying to build muscle, an athlete in training, a mom or dad on the go, a studying student, or a working professional in need of energy, this product is perfect for you. 6 grams of Vita-Fiber. A prebiotic, soluble, low-glycemic fiber. As part of a healthy diet, mix 1 scoop of Stout All-in-One Performance Protein with 8-12 oz of cold water, milk, or beverage of our choice. 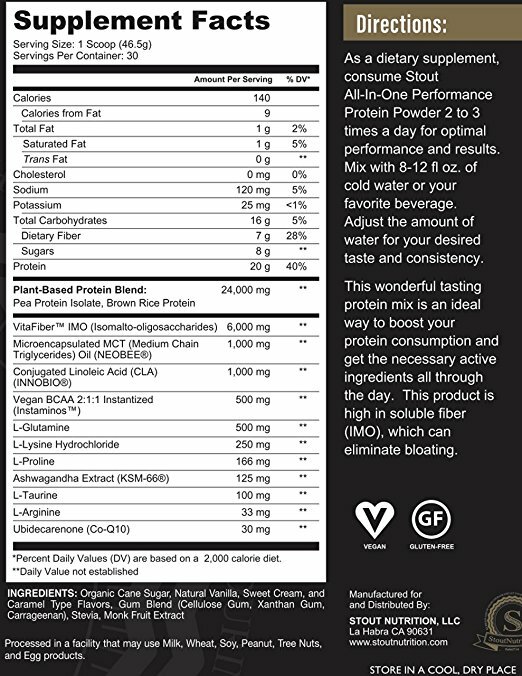 For optimal results, consume Stout All-in-One Performance Protein 2 to 3 times daily including morning, evening, and between meals or as instructed by your physician. Adjust the amount of water for your desired taste and consistency. 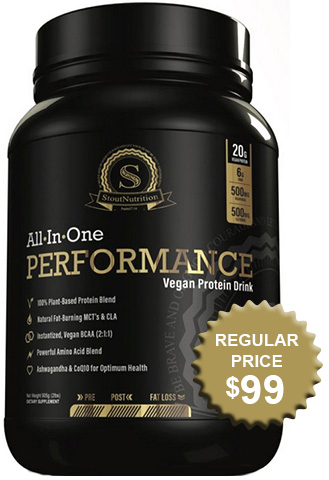 Plant Based Protein Blend (Pea Protein Isolate, Brown Rice Protein), Vita Fiber IMO (Isomalto-oligosaccharides), Microencapsulated MCT (Medium Chain Triglycerides), Conjugated Linoleic Acid (CLA), Vegan BCAA (2:1:1 Instantized), L-Glutamine, L-Lysine, L-Proline, Ashwagandha, L-Taurine, L- Arginine, CoQ10, Organic Cane Sugar, Natural Flavors, Gum Blend (Cellulose Gum, Xanthan Gum, Carrageenan, Stevia, Monk Fruit Extract. DO NOT USE IF PREGNANT, NURSING, OR UNDER THE AGE OF 18. Consult with a healthcare practitioner before taking this or any dietary supplement, especially if you have or suspect you may have a medical condition, or are taking ANY medications, over-the-counter products, or other dietary supplements. Use only as directed. Improper use and/or exceeding the recommended serving may increase the risk of serious health effects and will not improve results. Immediately discontinue use and call a healthcare professional if you experience any adverse reaction. Do not use if safety seal is missing or broken. KEEP OUT OF REACH OF CHILDREN. Disclaimer: While we work to ensure that product information is correct, on occasion manufacturers may alter their ingredient lists. 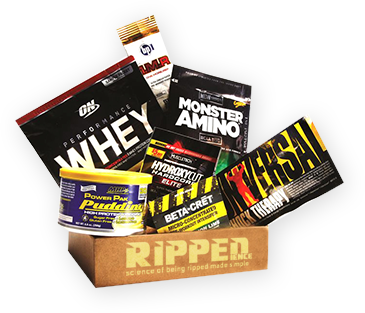 Actual product packaging and materials may contain more and/or different information than that shown on our Web site. 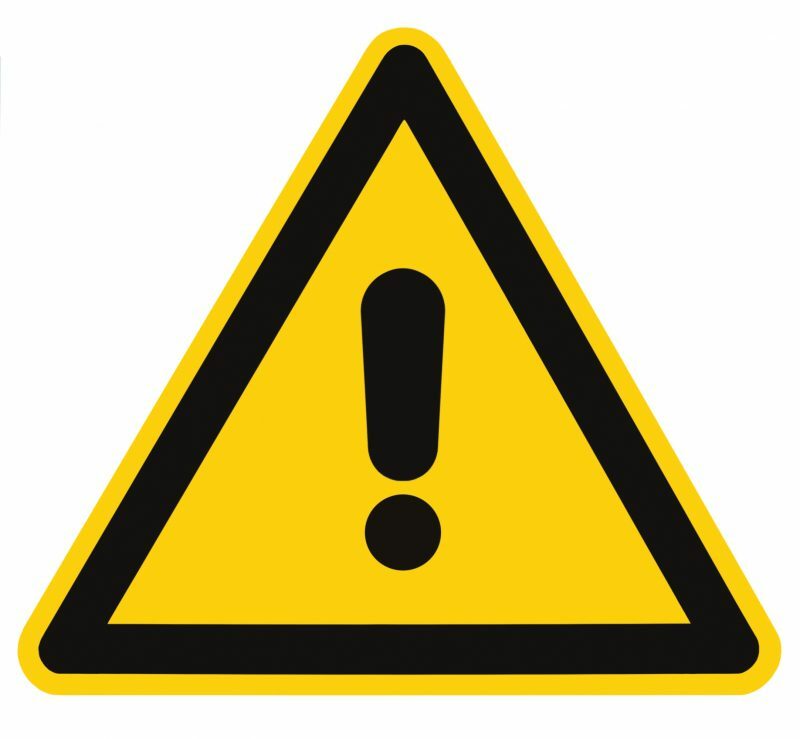 We recommend that you do not solely rely on the information presented and that you always read labels, warnings, and directions before using or consuming a product. For additional information about a product, please contact the manufacturer. Content on this site is for reference purposes and is not intended to substitute for advice given by a physician, pharmacist, or other licensed health-care professional. You should not use this information as self-diagnosis or for treating a health problem or disease. Contact your health-care provider immediately if you suspect that you have a medical problem. Information and statements regarding dietary supplements have not been evaluated by the Food and Drug Administration and are not intended to diagnose, treat, cure, or prevent any disease or health condition. RIPPEDIENCE.com assumes no liability for inaccuracies or misstatements about products.